Jane Kirkpatrick is such a talented author because the amount of historical research is incredible. There are few authors who are able to write a fictional story based upon a real person and not make it sound like a history book. 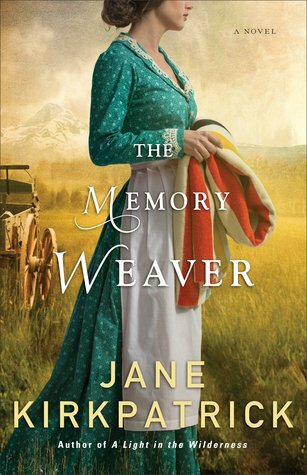 I enjoy all of Jane's books because of their historical truths and this book was very good. At first I was a bit confused on the story line, things jump around a bit. The book goes between an old diary and the main story line. This book is based upon Eliza Spalding and her children. This isn't really a happy book since it is based upon real life but it shows the struggles of the times. The Indian history and how people really haven't changed that much when it comes to relationships and families. For a rich historical read, I recommend. There were a few slow spots which is why I give it four stars. I think some of Kirkpatrick's other books are better but this one is still good. If you like faster moving books, you might not enjoy this one as much. "Thanks to Revell for offering me a free copy in exchange for an honest review."